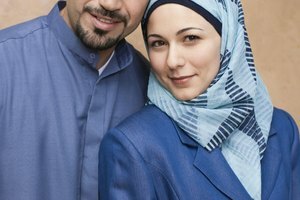 Muslim marriage rites might include both the nikah and a legal marriage ceremony. Although Islamic marriage rituals vary from culture to culture, as well as between Islamic denominations, Muslim weddings often lack the extravagance and expense associated with Western-style weddings. Usually the walimah or celebratory dinner following the nikah (wedding ceremony) is the most lavish aspect of the Islamic wedding. Traditionally, a woman's consent is necessary for a marriage; if the woman is a virgin, her father's permission is needed. In Islam, the dowry does not exist and is in fact, forbidden. The Quran states that it is the bridgeroom who should give his bride-to-be a gift or sum of money: "And give the women [upon marriage] their [bridal] gifts graciously." (Quran 4:4) In Islam, this marriage ritual is referred to as the "mahr." 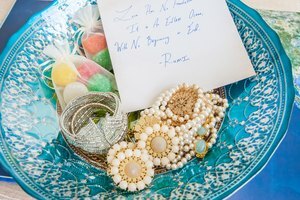 The gift or sum of money must be agreed upon between the two future spouses, and preferably, given to the bride-to-be prior to the wedding ceremony. 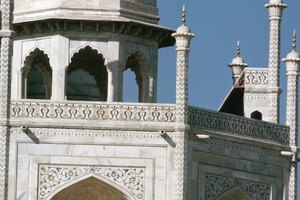 Once the couple has mutually agreed on the marriage, many Muslims host a mangni (engagement ceremony) at which the betrothed couple exchanges rings if they wish. The mangni also provides an opportunity for both families to meet if they haven't done so already. Traditionally, the bride's dress for the mangni ceremony is presented as a gift by the family of the groom. Although there is no religious requirement for the bride and groom to exchange rings in marriage, it is now traditional among most Muslims. In Islam, the wedding ceremony is called the nikah. 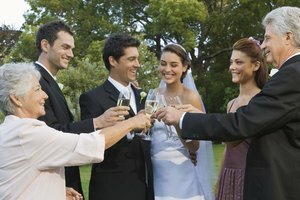 This marriage ritual normally consists of an exchange of vows between the two future spouses and the approval of the drawn-up agreement between the two parties. A reading of the Quran also proceeds the exchange of vows. A bride does not need to attend the ceremony, but she must send two people to represent her and to act as witness at the nikah. If and when possible, the vows are made in Arabic. If the future spouses cannot recite their vows in Arabic, their representatives, if they speak Arabic, will recite the vows for them. It is not necessary to have a religious leader conduct the nikah, although it is common. Cristiano, Jason. "Islamic Marriage Rituals." Synonym, https://classroom.synonym.com/islamic-marriage-rituals-12086775.html. 29 September 2017.